We just recently completed a 9-week teaching series that was held on Wednesday evenings in a church where we have been attending. The course covered a variety of topics with keeping Jesus central as the foundation for everything in life. There were many testimonies of people’s lives being enriched due to the teaching of the Word of God. It never ceases to amaze us how the Word of God can change people’s lives. Due to the course, especially after the teaching on healing, we saw many people receive healing. One lady had a deaf ear healed, one lady was healed of chronic pain that plagued her for over 3-years (the doctors thought it might be MS), and various other joint and back problems were healed, etc. You can listen or download this series entitled Foundations of Grace on our website. Just click on the series title or the picture below to go to the webpage that has the series. We had people from other churches attend as well. 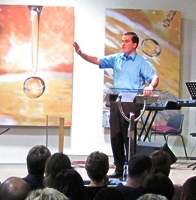 One man was a Zulu pastor who was tremendously blessed by the teaching of the Word. He will be conducting a tent crusade here in the Durban area beginning Dec. 1st. He told me that there is much ancestral worship and he is believing for people to be set free. He wants me to help preach and then begin to teach the people from Dec. 7-11. This is an incredible door being opened for the ministry of the Word into the Zulu community. We would appreciate your prayers for this upcoming tent crusade/discipleship venture. We were able to minister in a Methodist church recently where we were able to preach the Good News of what Jesus has done for us. There were about 15 people who stood demonstrating their desire to place faith in Jesus. Many also responded to the need to be prayed for in the area of healing. We saw many people healed of joint problems, chronic migraine headaches and a host of other ailments and maladies. 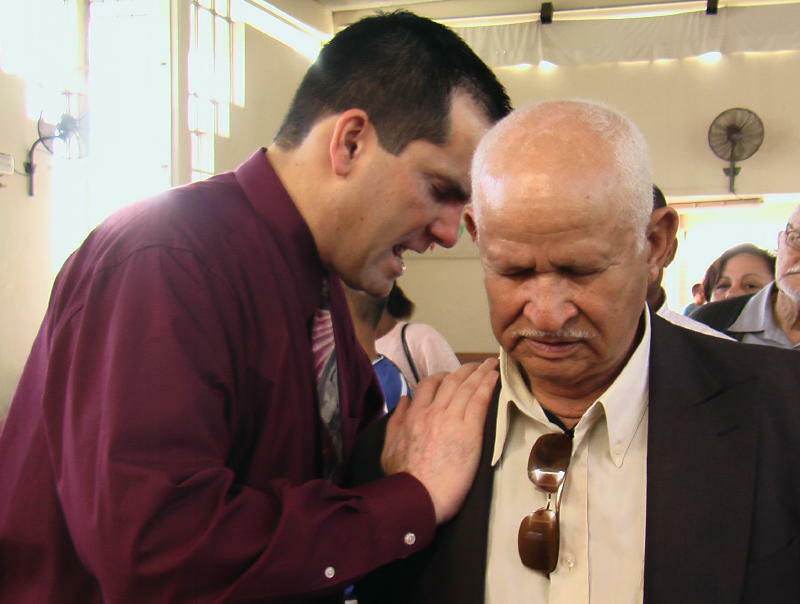 A father and son came for prayer for knee problems and pain in their joints. As I prayed for the son, the father had his hand on his son’s shoulder. The son was healed and all of the pain left. When I went to pray for the father, he said it wasn’t necessary. As I prayed for the son, the healing power of Jesus flowed into his body as well and he was healed! 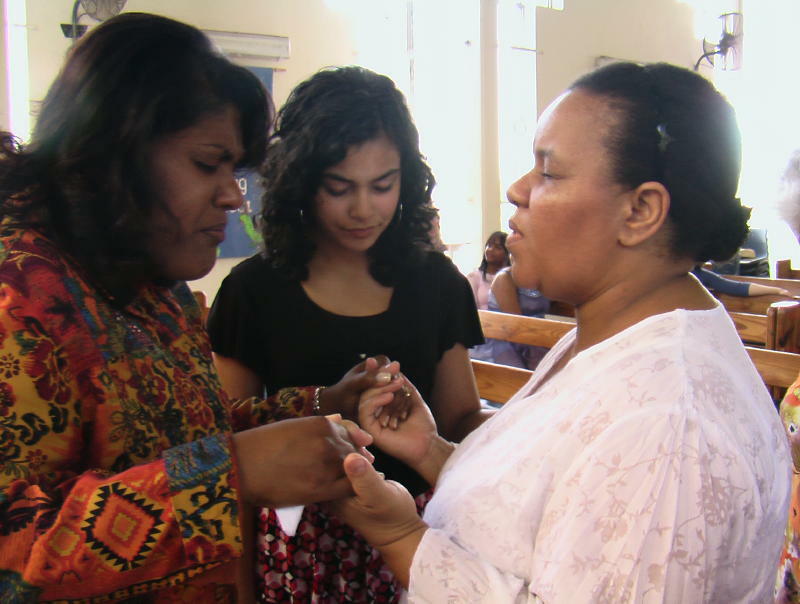 Back in May, Lisa desired to go out into the town and minister Jesus to people. As we drove down the road, I felt drawn to one lady on the side of the road who had a little stand where she was selling different sweets and various other items. After we parked the car and walked back to where she was, another lady had joined her who we found out was named Nokwazi. We introduced ourselves and told them that we go around sharing the Good News of what Jesus has done. So after sharing Jesus with them, we asked if we could pray with them. Nokwazi told us that she had been having a health issue that wasn’t going away. Shaun 4 being brave and introduce me in the presence of LORD. How awesome to be able to see Jesus ministering to people through the preaching of His Word and to see Him heal people. What a blessing to be a partner with Jesus as He shows the world His love and power. Together, we are making it possible for Jesus to receive His inheritance by reaching people with the Good News of the Gospel! Together, we are making a difference for the Kingdom of God! Copyright © 2011 Kingdom Equippers Ministries International, All rights reserved. We have an incredible partnership with Jesus in seeing Him receive the nations as His inheritance. There is a powerful message entitled "We Are Jesus' Inheritance" on our website. Click on the title of the message "We Are Jesus’ Inheritance" to go to the webpage where this message is found. Then click on the same title in the audio player to listen to this message. You may also download the MP3 for free as well.